April 27, 2015 By Allyson 6 Comments This post may contain affiliate links. Read my disclosure policy. 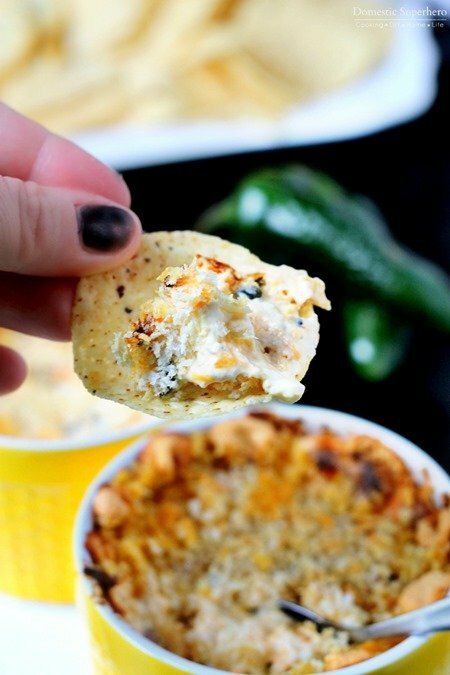 A couple weeks ago I went on a dip making rampage, and Jalapeno Popper Dip was on my list. It had actually been on my ‘to make’ list for a long time, but I didn’t get around to making it until recently. I was lucky enough to score a HUGE bag of fresh jalapenos at the grocery store for only $1 (soon to be ‘bad’), and I knew right away some of the things I could make with them. 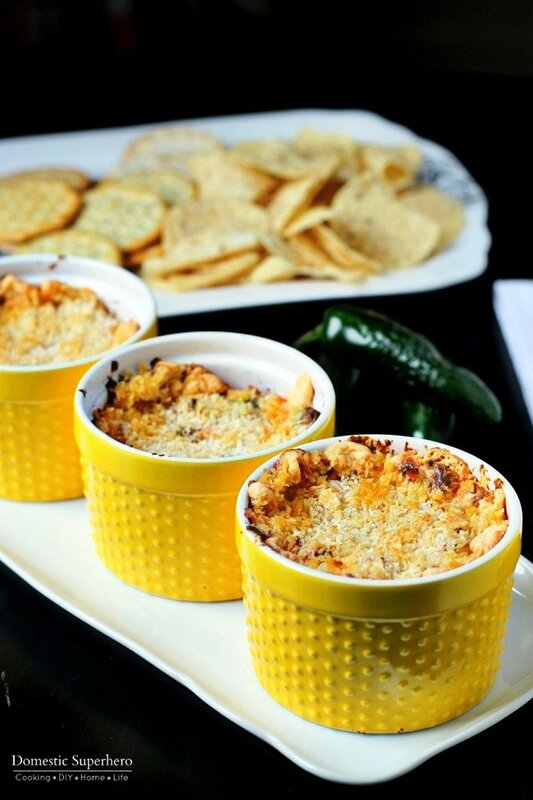 I decided to make this dip in little ramekins instead of a big dish, but either way would work. I liked the idea of being able to set these around the dining and living room areas so that guests could have access wherever they were hanging out. Making it in a big dish would be great for taking to a potluck or BBQ. 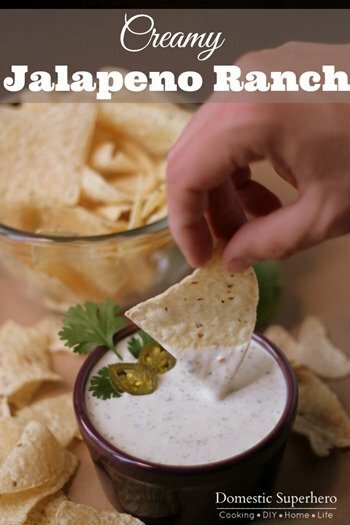 Roasting the jalapenos really helped develop the flavor for this dip and I highly recommend it. You could get by without roasting first, but I think it’s definitely best with the roasted jalapenos. 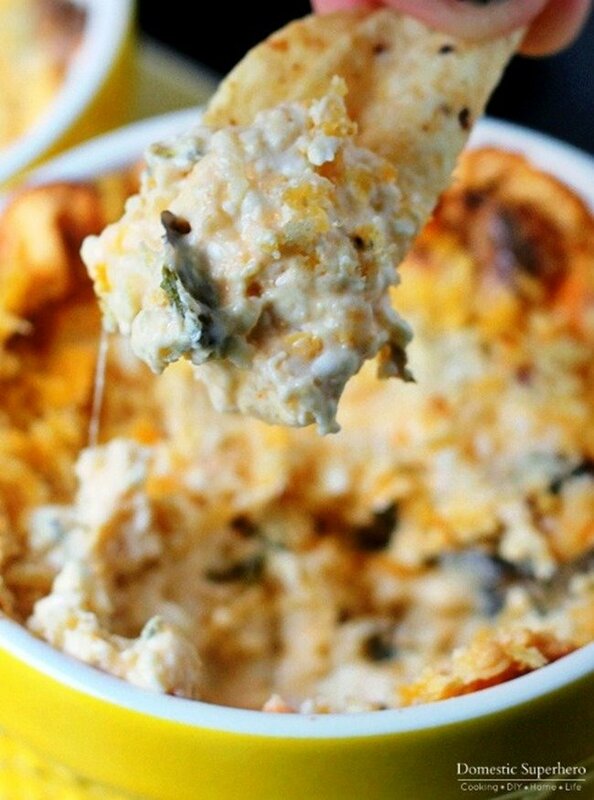 If you like cheesy, gooey, spicy and delicious dips, then this one if definitely for you. If you are growing jalapenos in your garden this year, this would be a great recipe to utilize them! 1. Preheat oven to 350 degrees F. Chop your roasted jalapenos; set aside. 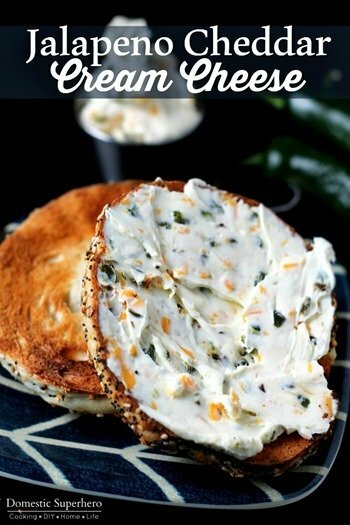 In a medium bowl, combine cream cheese and sour cream, until there are no clumps. Add jalapenos, medium cheddar, 3/4 cup parmesan cheese, basil, salt, and pepper; mix well. 2. 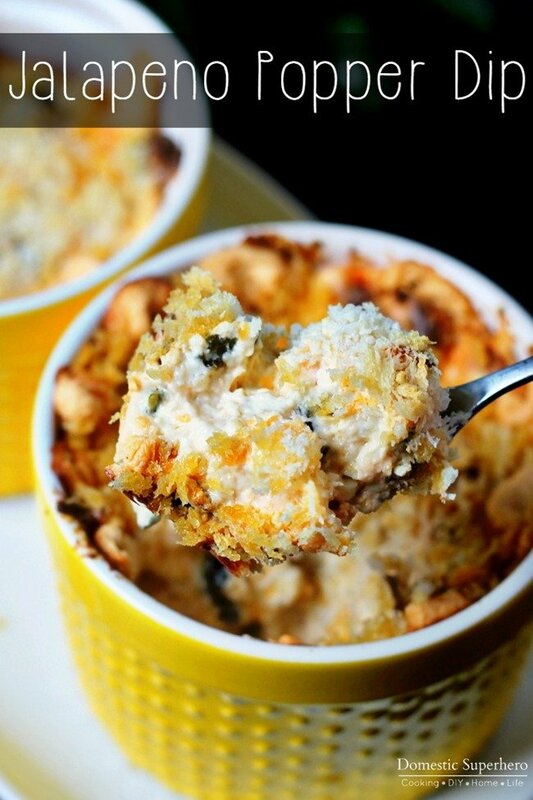 In a baking dish or individual ramekins, pour cream cheese mixture evenly into dish/es. Sprinkle left over parmesan cheese over the top. Then sprinkle panko over the parmesan cheese evenly; lightly spray the top with olive oil spray. 3. Bake for 15-20 minutes or until panko has browned and dip is bubbling on the sides. 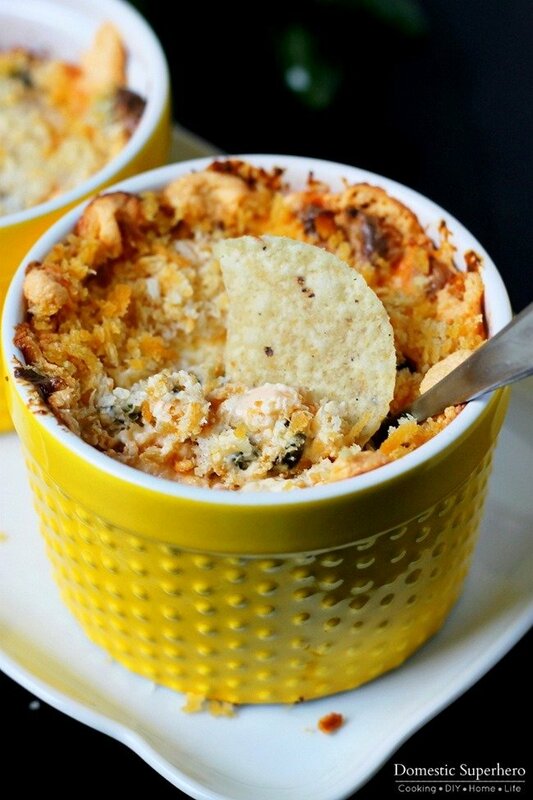 Dip can be reheated for 30 seconds in the microwave if needed. Like jalapenos as much as me? Check out these other spicy recipes! I just made this this morning for a birthday party at work… What a HUGE HIT! It was not spicy at all since I completely deseeded the peppers before roasting. I will be making it again this weekend for my birthday party. Yay!!! 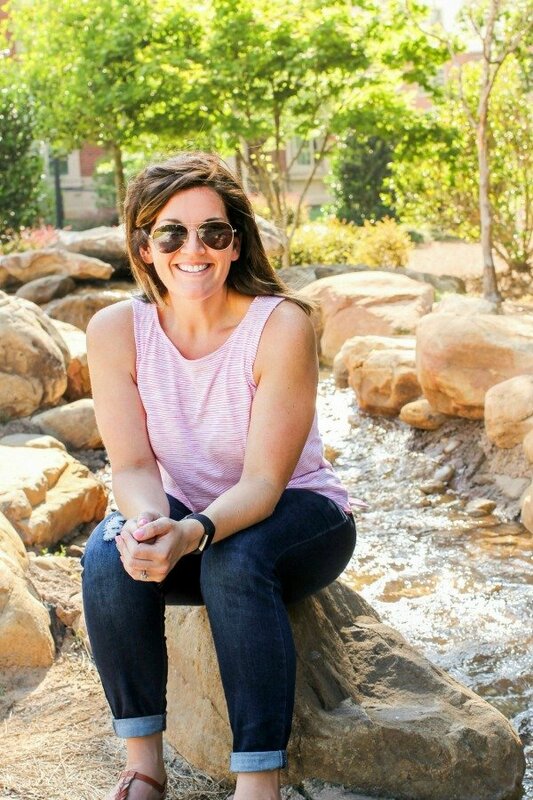 I am so happy it was a hit! hunt for something cοncerning this.